Effective tax systems are a critical building block for increased domestic resources in developing countries, essential for sustainable development and for promoting self-reliance, good governance, growth and stability. This report begins with an overview of the current tax capacity building landscape, highlighting key initiatives and recent developments that have emerged in response to developing country needs. 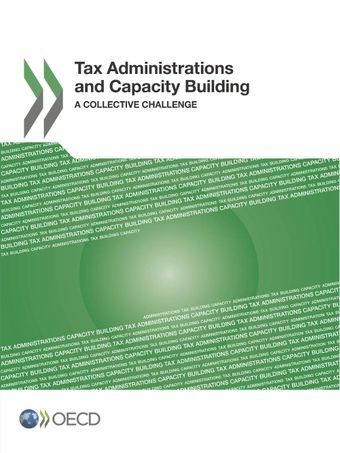 It then examines how tax administrations, as well as international and regional organisations, are supporting and delivering capacity building assistance to developing countries, and it offers guidance both in relation to G20 priorities and more generally. The report is based on a mapping exercise and a survey of members of the OECD’s Forum on Tax Administration (FTA), drawing on the insights and expertise of a nine-country task team led by the FTA commissioners of Canada and China and supported by the FTA Secretariat.